Check Out The New Shelter Art! 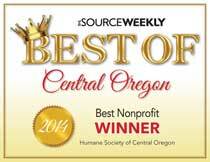 The Humane Society of Central Oregon was honored to accept a beautiful, original painting by MaryLea Harris Art. 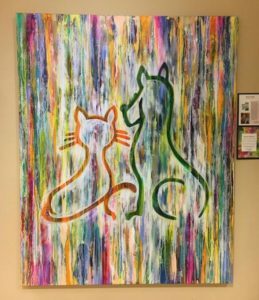 This painting, “Rescue is my Favorite Breed,” arises from the heart of a truly compassionate woman. You may recognize MaryLea’s work from Deschutes Brewery’s 30th anniversary label for their seasonal Jubelale 2017 (a series of snowflakes). 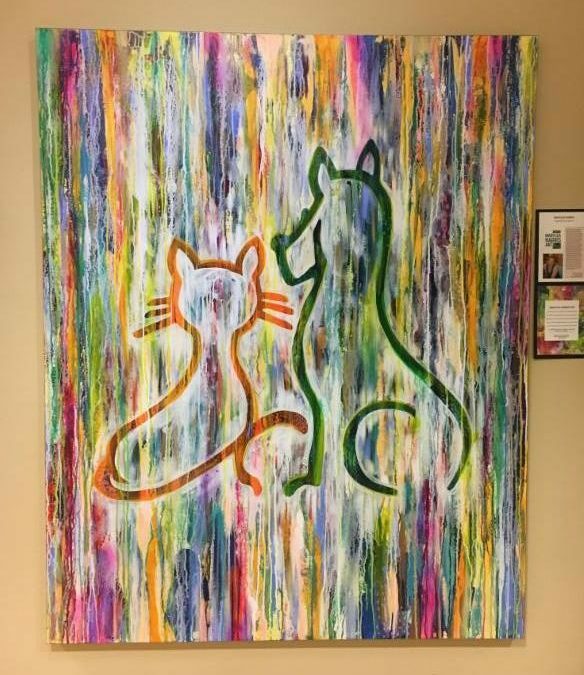 THANK YOU MaryLea Harris for creating this colorful 48″x60″ work of art for the Humane Society lobby! In addition to art MaryLea is a shelter foster volunteer. This summer she fostered four kittens who needed extra care and love to prepare them for adoption.